Your contribution is always welcome! Lots of blessings and cheers sending your way. Thanks for sharing this poem about Edmonton! It is a real character revelation. Have not been west of Thunder Bay but enjoyed all that I saw out to the east coast over the years. Hope to still see the western part of our amazing country. 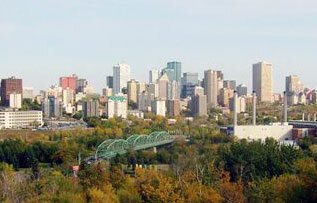 This glimpse of Edmonton is encouraging!